AstroPaq® 3.0 holds 4x the volume of a 750ml bottle and features double gussets for twice the strength! This is the perfect opportunity to dominate the “bag-in-box” market with beautiful, lightweight packaging that makes a huge splash. 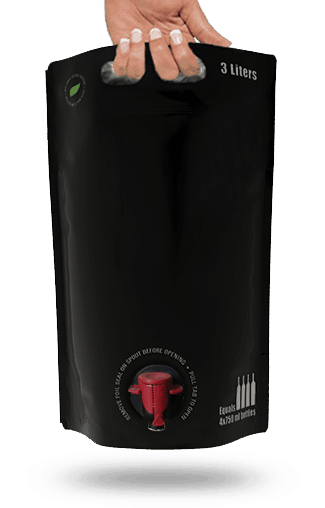 Why AstroPaq® 3.0L Black Pouch? Count: 250 pouches per box. The AstroPaq® 3.0L Starter Kit contains everything you need to get up and running. Gas injection device that uses inert gas to gently puff open the AstroPaq® 3.0 pouch; allows for easy manual filling using the filling stand.